Every day 300,000 children go to sleep hungry in South Florida, 1 in 4 children in Miami. 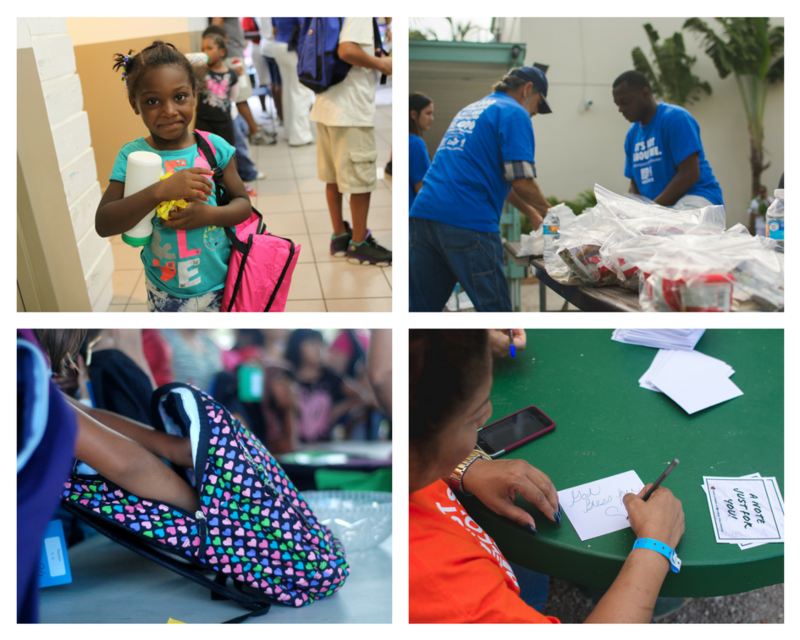 Through Caring for Miami’s Backpack Program, we address both their physical and spiritual needs – physically with food and spiritually with the love and hope of Christ. In 2013, Christ Fellowship raised money allowing us to feed 450 children every weekend during the school year. By 2014, we increased that number to 600 children. Today, we serve over 1,200 hungry kids in 47 schools across Miami-Dade County. Each weekend, we provide 2 breakfasts, 2 lunches, 2 dinners, 2 snacks, and a note of encouragement. Our food meets three requirements: easy to prepare, durable, and no refrigeration needed. These requirements are due to the fact that many of these kids are living in motels or in cars. Our handwritten notes of encouragement feed hungry hearts with hope, love and the Gospel of Jesus Christ. You can sponsor a child for an entire school year with a one-time donation of $200. Any amount is welcome. One hundred percent of every penny you give to this project will be used to feed hungry children. You can help feed children by giving of your time to pack or deliver food, donate financially to make sure we have food to provide the children, or in prayer. The program is completely free to these kids because of donations from people like you.